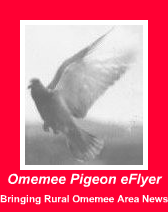 Omemee Pigeon eFlyer: VIBE- Unique Programming Assists Rural Youth! VIBE- Unique Programming Assists Rural Youth! VIBE-Unique Lindsay Presbytery Summer Program! Lindsay Presbytery offers a unique summer program, Reverend Mary Margaret Boone of Janetville United Church pastoral charge outlines how this unique program allows tutal churches in our area to offer important summer programming to area children. Read on for a video and details that may help you create a similar program in your rural community. We have a very unique program in Lindsay Presbytery. The only one of its kind I believe. VIBE stands for Ventures in Biblical Experience and essentially it is a Presbytery wide program for those who sign up, and yes there is a cost. Each site pays $300.00 to have the program come to them. The advantages far outweigh the cost and although, I have only been in Lindsay Presbytery for 2 years, and am quite used to being part of the planning and delivery of a Vacation Bible Camp (VBC) program, I am sold on this unique idea. The benefits: two students get full time employment for 9 weeks in the summer. We hire a director who gets mileage, and a counsellor who is essentially mentored by the director. The site also gets trained staff to be the energy behind the VIBE theme, and that is part of the dilemma in many of our churches. There is not enough energy to put on a dynamic Vacation Bible Camp. Lindsay Presbytery sets one of the nine weeks aside for training of the youth staff, we (a member of the Presbytery VIBE committee visits each of the sites during the summer to check up, and make sure things are going well, address problems that have been brought up, and generally offer support and guidance). There are 15 VIBE sites this year, and if it weren't for this program some small rural churches could not offer a VBC- they just don't have the leadership, but they do draw in the kids for the program! Lindsay Presbytery also offers a site training program - a morning event where all participating sites are invited to come and get a day by day intro to the program. There is a site package sent out with expectations of the site volunteers, and samples of each craft are displayed, along with an outline of each day's story. This summer we are following the adventures of Paul. Editor’s note:Here is a video from VIBE 2010 highlighting some of the great learning experiences last year’s campers enjoyed with Dan and Ella. If you want to experience 'Catch the VIBE' come to our Janetville event which happens mornings from 9am till noon, Monday, August 1st to Friday, August 5th. Janetville United Church is located, just West of Highway 35 at 303 Pigeon Creek Road, Call 705-324-4006 or visit their Website: A Country Church for You for a map and more information.